The Village of Suttons Bay along the east side of the Leelanau Peninsula, north of Traverse City along West Grand Traverse Bay. This unique location is close to the 45 parallel, the halfway point between the North Pole and the Equator. The community was named after Harry Sutton, one of the first European settlers who arrived in 1854. He and a crew of woodsmen arrived with the intention of supplying passing steamboats with fuel. In 1903, a railway began a line between from Traverse City to Northport with a stop in Suttons Bay. The railroad was created to support car ferry service to Manistique on the Upper Peninsula. The line remained active, at least in part, until 1975 when the section from Traverse City to Suttons Bay was abandoned. 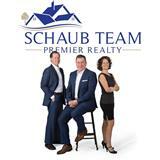 Today the old train depot is home to Schaub Team Premier Realty’s main office. While still heavily dependent on tourism, Suttons Bay has become a thriving year-round community that includes a variety of boutique shops and restaurants, wineries, a grocery store and car wash, drug stores, gas stations, an historic movie theatre, marina, Secretary of State and Schaub Team Premier Realty. The rolling hills, proximity to large bodies of water and location near the 45th parallel have made this an ideal destination for agriculture and viticulture. Expansive farms surround the Village which support the cherry, wine and other fruit industries. As with other communities throughout Leelanau County, real estate in Suttons Bay has proven to be a lucrative investment for many providing the unique opportunity to reside in a small town, yet have an easy 15-minute commute to Traverse City. Opportunities in and around the Village include single family homes within the Village neighborhood, subdivisions or on multiple acre homesteads. For low maintenance living, folks may prefer a condominium. While stately waterfront homes and property can be found along Grand Traverse Bay. Click here to search homes for sale in Suttons Bay, MI. Families living in Suttons Bay are part of the Suttons Bay public school district. Suttons Bay Public School offers education for children from Kindergarten through high school. Leelanau Montessori Public School Academy is a charter school serving Leelanau and Grand Traverse counties and is located in Suttons Bay. Suttons Bay is home to several churches of various denomination. While many consider the natural wonders of the region to be entertainment for the area, there are also a host of unique opportunities for dining, lodging, shopping and more! Living in Leelanau is sure to bring additional family and friends that want to visit. The area boasts a variety of vacation rental opportunities including condominiums, cottages, homes, and bed & breakfasts. Following are good resources to assist you in finding the best options for you and your guests.